Valentin constructed its path and international development around a new french artistic scene. Initiating new exchanges with already known artists, the gallery also confirms its engagement towards an emerging generation, creating hybrid forms and manipulating with distance the new practices bounded to the development of the internet networks. Following that new orientation, Valentin invites each year new young curators to organize collective projects. 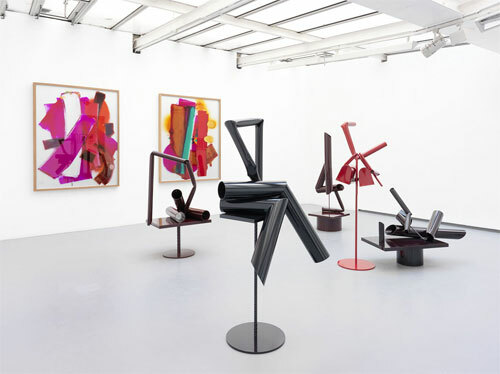 Pierre Ardouvin, Eric Baudart, Cecile Bart, Etienne Bossut, David Douard, Luca Francesconi, Babak Ghazi, Dominique Ghesquiere, Alois Godinat, Laurent Grasso, George Henry Longly, Andrew Mania, Nicolas Moulin, Anne Neukamp, David Renggli, Joe Scanlan, Veit Stratmann, Niels Trannois, Donelle Woolford.